The House K-12 Budget Committee today heard the budget appeal from the State Department of Education. Agencies provide budget appeals when the Governor’s budget differs from the Agency requests. Committee chairman Fred Patton (R-Topeka) indicated to the committee that they would be hearing the appeal for the 2018 and 2019 KSDE budget but that they would only forward recommendations on the 2018 budget to the Appropriations Committee. This set up some conflict in the committee with Democrats Jim Ward, Ed Trimmer, Tom Sawyer, and Henry Helgerson arguing that it felt irresponsible to put off decisions on 2019 until later with the specter of the Supreme Court decision weighing heavily. Trimmer made a motion to recommend all of the agency’s appeals to the Appropriations committee and, after some significant discussion, withdrew the motion saying their points had been made. And also realizing that such a motion would not pass. Rep. Brenda Landwehr (R-Wichita) argued that it was wrong to put schools above all other agencies which have been starved for several years. Trimmer then said that those agencies had been starved only because the majority had willingly gone along with the Brownback tax experiment that ultimately gutted the state’s revenue picture (a tax experiment that no Democrat had voted in favor of). In the end, they made two recommendations on the 2018 budget to forward to the Appropriations Committee. First, they dealt with an appeal on the Monumental Building Fee – a fee that is charged by the Department of Administration to the KSDE but for which no money is provided. The fee, collected from several agencies, is used to maintain the Capitol, the Judicial Center, and Cedar Crest. 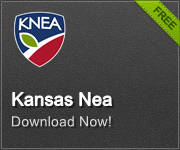 This would require an additional $162,141 for the KSDE. A motion by Rep. Sawyer (D-Wichita) to provide the additional funds was adopted. Rep. Landwehr moved to request the Appropriations Committee to introduce legislation exempting the Department from the fee in the future. That motion also passed. The only other issue dealt with was the Excel in Career Technical Education Initiative. Under this program when a high school student earns an industry-recognized credential in a high-demand occupation while in high school, the student’s school is to receive a $1000 incentive. Funding available for this program is only enough to provide $35 per student. On a motion from Rep. Melissa Rooker (R-Fairway) additional funding is provided to make the appropriate payments. Landwehr made the motion to forward these two recommendations for 2018 to the Appropriations Committee. The motion passed on a voice vote. At this point, Patton asked what the committee’s will was as to the 2019 budget appeals. Hearing no response, he made a motion himself to lapse the 2019 budget and to take it up again at omnibus – the session ending mega-budget building process. The motion passed on a voice vote with Democrats Ward, Helgerson, Trimmer, and Lusk being recorded as NO and Republican Scott Schwab being recorded as YES. Tomorrow the Committee will be discussing early childhood education initiatives and benefits.